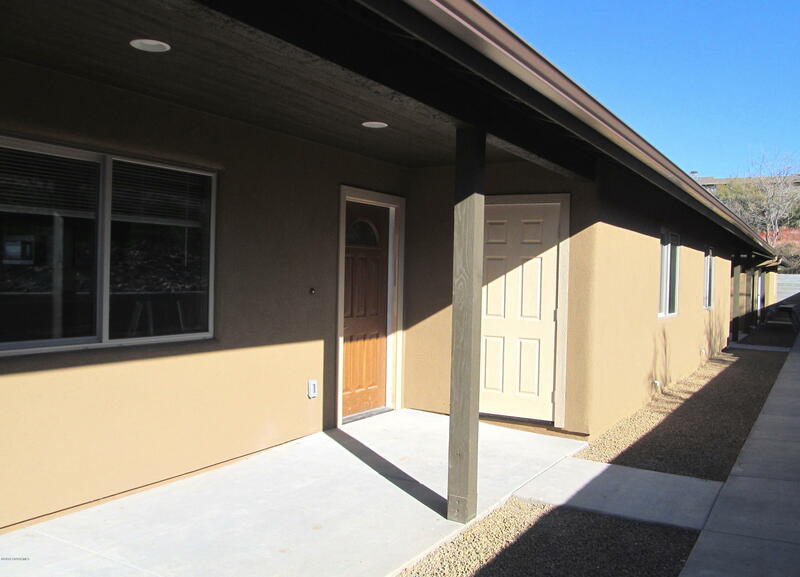 Great, convenient location in the heart of Camp Verde. New construction, 3 units (duplex and single unit). Each unit is 2 bedroom, 1 bath (1058 sq. ft.) with large kitchen/Great room, lots of storage space, laundry in each unit, covered and open patios, fenced yard, appliances included (refrigerator, washer/dryer). Vinyl plank flooring throughout. Off-street paved parking. Live in one and rent the other 2 or rent them all. Lots of possibilities.